The farm sits on 125 acres of woods and fields just outside of Annapolis, Maryland. We raise Katahdin sheep, a small flock of chickens, many border collies, and a few barn cats. 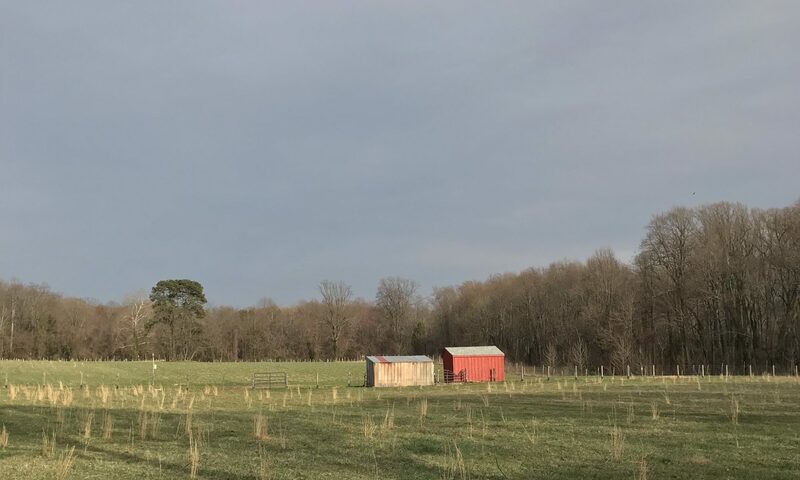 Our farm is under a conservation easement, which means we must keep the land in agricultural use and maintain the open space and woodlands. Our family is committed to raising our livestock ethically and sustainably, and ensuring that the land and waters surrounding us stay environmentally sound. Go to our Contact Us page to learn how to reach us. For more information, read about our News and Ideas and view the farm’s latest photos and videos in our Gallery. We occasionally send out email updates about what’s happening on the farm. Please join us and add your address here to be a part of it all.